For the past few months my art has been on display as part of the 2016 Spring Show at the Bethlehem House Gallery in Bethlehem Pennsylvania. 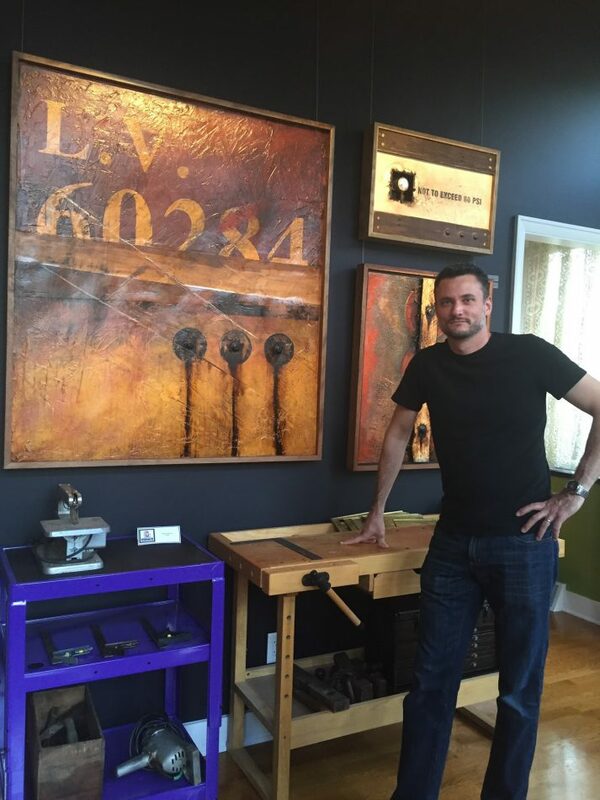 Ward Van Haute, the gallery’s owner and curator, reached out to me earlier in the year and asked if I’d be interested in participating and showing some of my recent assemblage pieces. Ward’s take on the gallery experience is quite a unique one for the Lehigh Valley, putting art on display as it might appear in your own home. Each show they put on is different not only in the artists they represent but also in the themed rooms they display the work in – You won’t find a single white wall in this space! The themes of this show include a potting shed, a living room and dining room, a bedroom and even a kitchen. All of which show the work of other talented regional artists including Marlow Rodale, Gini Illick, Thomas Kelly, Jennifer Schilling, and Elli Albrecht. Ward chose to show my pieces in a workshop setting with all the accessories to go with it, like workbenches and antique hand tools. He told me he thought it fitting to do so after visiting my own basement studio and workshop. I initially chose nine pieces to include in the show. 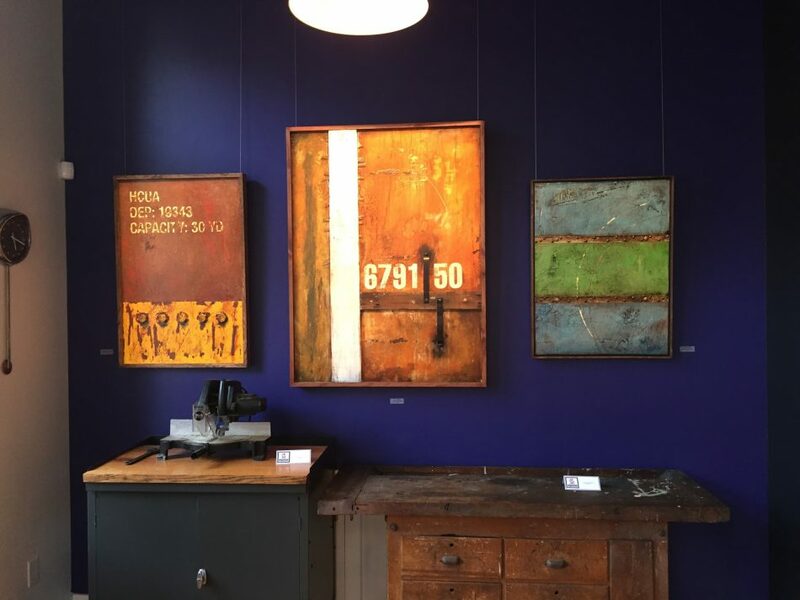 They’re a sampling of work that spans the past five years and are what I like to refer to as my ‘industrial assemblages.’ They include works on steel, wood, and canvas – each one incorporating some element of assemblage. Striations No. 2 was the oddball in the group, being the only one that I would consider to be more of a painting than anything else – still very textural of course, but lacking any of the typical assemblage elements that I used in the other works, like Wall Segments No.13-82 or Markings: ic3727. This is the last week to see the Spring show, with a closing reception scheduled for Saturday, July 9.